Our own notions of an ongoing, all-pervading and never-ending hybrid war are corroding our societies and political systems. Hybrid warfare has been in the limelight for more than a decade within the Western strategic discourse. During the last five years, this slippery concept has mostly been attached to the malign actions of Russia towards the West. First, it has been claimed that Russia’s hybrid warfare towards the West – containing information warfare, cyber warfare and political warfare – has succeeded in attaining favorable outcomes for Russia. According to this story, Russia has been able to achieve concrete security-related goals with its hybrid tools. 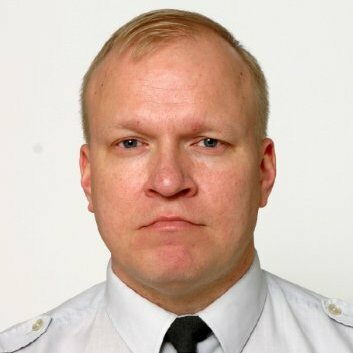 Lt. Col. Jyri Raitasalo is military professor of war studies at the Finnish National Defence University. The views expressed here are his own. 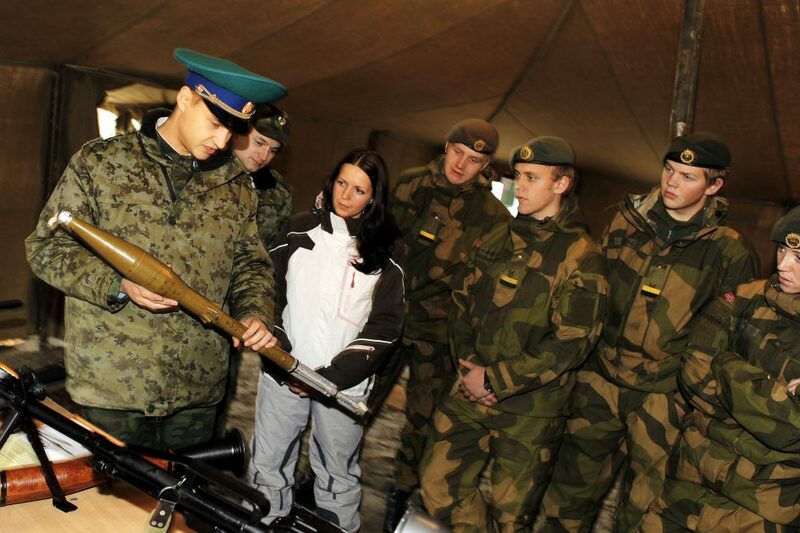 Raitasalo is a highly valued member of the editorial expert team at Defence and Intelligence Norway. Supposedly from the Crimean peninsula to Donbass and from the Brexit-vote to the 2016 Presidential election in the United States, it was Russian hybrid warfare that excelled in bringing about outcomes that benefitted Russia. Surely enough, Russia cannot be blamed for not trying to undermine the ability of the West to achieve its security interests. But trying does not equal succeeding. Evidence confirming Russia’s success is scarce – if not non-existent. Buying Facebooks ads does not equal having an influence on voters. Disrupting internet sites or stealing usernames, passwords or credit card information can be awkward or troublesome, but they surely enough are not national security threats. Even if the “absence of evidence is not evidence of absence”, as the former Secretary of Defense Donald Rumsfeld has noted, a whole industry of Russia’s successful hybrid warfare thesis is based on shaky – if not non-existent – ground. As time has passed, it has become questionable whether Russia is in fact better off with its disruptive techniques. It is paying a high price for its annexation of the Crimean peninsula. It is stuck in Eastern Ukraine. And its relations with the West are poisonous for the foreseeable future. In addition, more – not less – economic sanctions are in the pipeline as Western states are punishing Russia for its malign deeds. If this is victory or success, it would be interesting to know what defeat looks like. Paraphrasing Pyrrhus of Epirus, one more victory like this and Russia is ruined. Based on this strategic level failure of Russian “hybrid warfare strategy” (this strategy actually does not exist, I only use this term as an analytical tool), some proponents of the hybrid warfare thesis argue that while Russia might not have been successful in gaining concrete “wins” during the last years, it has been able to sow chaos and corrode Western societies with its narrative tools in the information and cyber domains. This line of argument is based on the idea that Russia has been able to manipulate or distort Western narratives and the ways to frame or think about security issues in the contemporary world. This kind of an argument is impossible to refute as there are no meaningful indicators that could prove with any degree of certainty that this has in fact NOT been the case. But the burden of proof should be on the advocates of the successful Russian hybrid warfare thesis. Pointing out Brexit, Trump or the use of Twitter are nowhere close to the standards of proof that would make these claims meaningful. Moreover, blaming Russia – or China – on the ills of Western societies is an easy-way-out for past and contemporary politicians who are responsible for the state of our societies and the functioning of our political systems. The notion of ongoing Russian hybrid warfare against the West has had one clear positive security outcome during the last years: the West has awakened from the 25 years of hubris about the non-zero-sum post-Cold War era international security system that has been called “the unipolar moment”. Today – partly because of the effects of the Western narrative on hybrid warfare – everyone recognizes the ongoing great-power rivalry between the United States (and Europe) on the one hand and Russia and China on the other. Moreover, due to the hybrid warfare narrative, everyone recognizes the age-old notion that states compete with each other for power, prestige and status using a broad repertoire of instruments. International politics and great-power competition is not only a military standoff. It is much more, including politico-diplomatic, economic, cultural and other tools of statecraft that scholars and practitioners of strategy have been familiar with ever since the writings of Sun Tzu some 2500 years ago. Enter negative aspects of hybrid warfare. They touch mostly on the way that we in the West have framed hybrid warfare by Russia – and also by China. First, hybrid warfare is something that is ongoing. Thus, we are at war. Second, hybrid warfare is something that contains a broad – indefinite – range of tools. Thus, all sectors and aspects of our societies are targeted in this ongoing war – all the time. Third, there is no shared understanding or common definition of what constitutes hybrid war. Almost anything can be hybrid warfare. This leads Western states to project their weaknesses and vulnerabilities onto potential future actions of their adversaries. Thus, hybrid threats are not only constituted by the deeds of Russia – or China. Hybrid threats are conceptualized as the totality of all possible actions that could endanger Western security in the future. According to this view, as we are already at war, it is only a matter of time before all of our vulnerabilities will be tested by Russia – or China. Fourth, as we are on the verge of being attacked all the time, our societies must be mobilized for this war. Fifth, there is no end in sight for this hybrid war: as there is no clear understanding of what constitutes hybrid warfare (it can be almost anything), how can we ever achieve peace? Sixth, as we cannot achieve peace, continuous – eternal – societal mobilization against external and internal threats is needed. The mobilization of our societies for an ongoing long-term hybrid war that never ends will gradually lead to the all-out securitization of our societies. From the content of comic books to formal diplomacy and from the upcoming presidential elections to the nuclear arms limitation talks, we are at war and a target of constant attack. We cannot compromise as our opponents are waging war against us. Diplomacy becomes difficult – almost impossible. We have seen this movie before. As all aspects of our society are at perpetual war all the time, it is essential that all combatants in this war on all fronts – citizens – support the war effort unanimously. People with dissenting views about the all-penetrating threat or policies to counter it can easily be dismissed or blamed for being Russian stooges or fifth columnists working for China. Modern day McCarthyism or Red Scare are not that far away – unless we change the way we conceptualize the workings of international politics and our responses to the threats emanating from it. Another example from recent history sheds light on how projected future threats (aka risks) can be used to advance policies today. This is related to the post-9/11 Global War on Terror and the threat of terrorism, which can never be totally eliminated. As President George W. Bush was arguing in 2002 – when making the case for invading Iraq – “America must not ignore the threat gathering against us. Facing clear evidence of peril, we cannot wait for the final proof, the smoking gun that could come in the form of a mushroom cloud.” As it turned out, there was no smoking gun – or an Iraqi plot to deliver nuclear weapons to terrorists. But the mere possibility that there could be such a plot – combined with the risk logic (if action is not taken today, something really bad could happen tomorrow) facilitated the formulation of a policy that was based on the principles of unilateralism and the militarization of the terrorist threat. It is worth remembering that for decades before 9/11, terrorism was largely dealt with within law enforcement and intelligence frameworks. Today siege mentality is on the rise – requiring extraordinary measures to be taken in order to secure the society against internal and external threats. This is brilliantly expressed by the use of notions such as “fake news” or “trolling” as tools to attack or discredit those that have different ideas about politics or societal life in general. By clinging to the framework of hybrid threats and hybrid warfare, we are all slowly becoming prisoners of our own (past) narratives that are escaping their makers and are being sedimented into how we conceptualize security and defence. As these narratives grow and get stronger, they will have an impact on all of us. As we have seen during the last years, even the President of the United States cannot escape this logic related to hybrid warfare and hybrid threats. For President Trump, it is possible to engage the dictator of North Korea in a new way. But he cannot break the hybrid warfare logic by talking to Russia – even though Russia is the only country in the world that poses a potential existential threat to the United States. Thus, it is our notions of an ongoing, all-pervading and never-ending hybrid war that corrode our societies and political systems – rather than the malign actions of Russia or China per se. Make no mistake, the aggressive and offensive actions of Russia – and China – need to be countered with vigilance. Espionage, bribery, extortion or spreading false information are all malign techniques of statecraft that require responses – 365/24/7. But putting thing into perspective, these above-mentioned methods – and a whole variety of associated tools of the Dark Arts – are traditional means that states have used to compete with each other. We in the West may have forgotten this during the 25 years of the post-Cold War triumphalism and temporary amnesia about the very essence of international politics. But today – five years after the surprise that Russia caused in the Crimean peninsula and its subsequent malign deeds – it is time to move beyond the everlasting hybrid warfare perspective that securitizes all facets of our society and corrodes our domestic politics by accentuating the perpetual character of the external threat – and also the potential threat within our societies. By arguing that normal great-power competition is warfare, we are in fact making all spheres of our societies part of the battlefield and every citizen a combatant. By so doing, we are sowing the seeds for a future where everything and everyone can be(come) a national security threat. And adjudication between “friends” and “foes” will be arbitrary – if not impossible. It is time to get rid of the hybrid warfare perspective. Traditional notions of great-power politics, rivalry and statecraft are a better framework for countering Russia and China. An edited shorter version of this article – titled America’s Constant State of Hybrid War – was first published by The National Interest on 21 March 2019 (https://nationalinterest.org/feature/americas-constant-state-hybrid-war-48482).